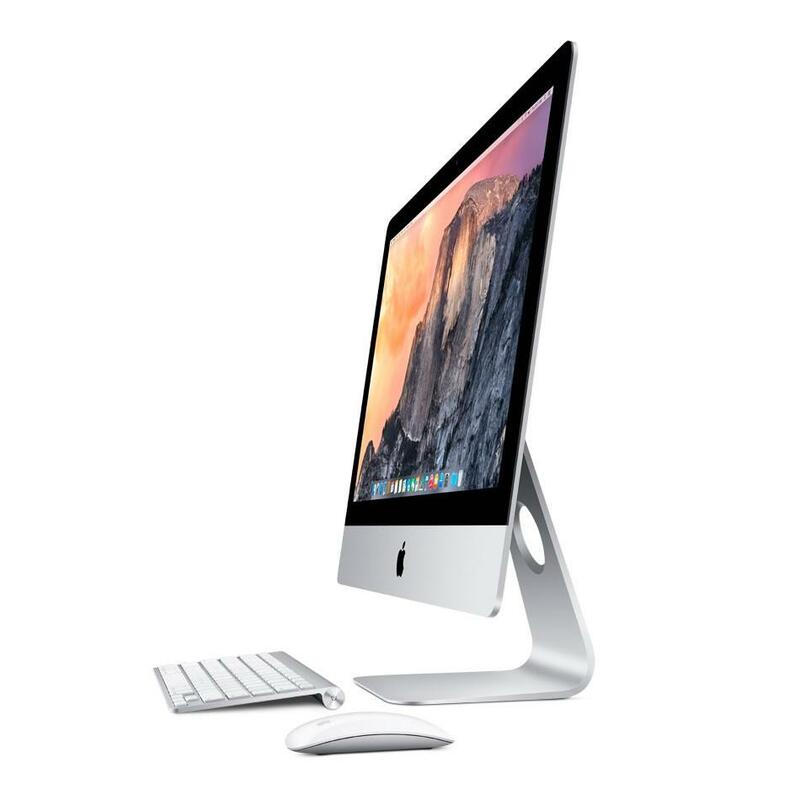 Affordable Mac Certified refurbished products go through a strict testing process. The condition is almost perfect like new. They come with a 12 Month Warranty and include a Generic Keyboard and Mouse (not Apple) and a UK Mains cable (not Apple). The iMac “Core i7” 3.1 21.5-Inch Aluminum (Late 2012) technically is a “configure-to-order” configuration of the iMac “Core i5” 2.9 21.5-Inch Aluminum (Late 2012), but also is documented as a separate model for reader convenience. Other than processor (and the corresponding level 3 cache), these two models are identical. The iMac “Core i7” 3.1 21.5-Inch Aluminum (Late 2012) features a 22 nm Quad Core 3.1 GHz Intel “Core i7” I7-3770S (Ivy Bridge) processor with four independent processor cores on a single chip, an 8 MB shared level 3 cache, 16 GB of 1600 MHz DDR3 SDRAM, a 1 TB Fusion Drive (5400 RPM) hard drive. The fusion drive combines a traditional hard drive with 128 GB of flash RAM to offer both significant storage capacity and enhanced performance. NVIDIA GeForce GT 650M graphics processor with 512 MB of dedicated GDDR5 memory. It also has a built-in “FaceTime HD” webcam and stereo speakers, but lacks an optical drive.